In November, Courtney and Christina attended a seven-day writing residency together at the Wellstone Center in the Redwoods in Soquel, California. They took notes on how the presence of a writing friend affected their respective creative processes before, during, and after the residency. Here are their impressions. Courtney: Friends for over a decade who share a passion for writing, Christina and I recently began attending professional development workshops together, critiquing each others’ work, and encouraging one another to prioritize our writing careers. I’m a longtime Lighthouse member and pushed Christina to apply to her first juried writing workshop at Lit Fest. Christina attended a Wellstone residency last year and pushed me to send in an application. Once I was offered a spot, she helped me pack: no headlamp, yes cozy sweater, no extra books (they have a great library), yes slippers. There were logistical benefits to sharing the week: we split the cost of groceries and a car, allowing us an occasional trip to the beach or the bookstore. And she advised me to not tell any California relatives I was in town: I wouldn’t want to interrupt my flow. Christina: I spent a week of writing residency at The Wellstone Center last year and would be lying if I said I didn’t have doubts in the plan. Courtney and I have shared a tough boss, an ex-boyfriend, and a number of distressed texts over the high fevers of our children. Could our literary lives find a home of their own between us? On the scale of introvertedness, I’m the sort that brings noise-cancelling headphones to a cottage in the redwoods. Last year, my week at Wellstone offered a soundproof cave of disobligation. I awoke in the dark, put my pen to paper, and didn’t look up till the sun bled the sky pink. Around eleven I’d pull on the clothing needed to make a decent appearance in the shared kitchen, make toast, and steal a mug of coffee back to my room. Around two, I’d close my laptop and push my heels into sneakers for a lap along a dank path in the redwoods. Even on that trail, my mind still lingered in the forest of the writing project I’d left on my desk. I’d have to stop every ten minutes to jot down the clues of something I’d explore later by pen. Back at the house and reclaimed by my seat, I’d sit hunched over something until the sun fell. I only half-regretted the fact that I had forgotten to shower when called for dinner. At the table of writers, however, I took delight in the decompression of shared writing defeats and successes. But when the last plate was polished and put away, I’d let my writing room swallow me whole again. So yes, I felt my introverted expectations of the retreat threatened by Courtney’s comfortable friendship. I also didn’t hesitate. It was my idea. The invitation to share the experience was sincere. Something I sensed, but couldn’t name, outweighed the risk. Courtney: Christina was right to warn me to stay anonymous. Once I arrived at that special spot in the Redwoods, I wanted zero diversions from my writing. After dinner on arrival day, Christina and I shared some whiskey at her poolside cottage. As the moon rose I shut her door and started down the hill toward my own cabin. “My door is closed, but it’s always open,” I heard her call from inside. I smiled. That invitation reverberated for the rest of the week. A simple knock on the door and I was always invited in—though it was with the unspoken agreement that we would work quietly together, like library patrons. I’m easily distracted by noise and conversation and welcomed the focused energy. While I was firmly planted in the rich soil of my own creative impulses, I also found nourishment in Christina’s sunny encouragement and conversation. I don’t know about you, but it’s challenging for me to spend an entire day consumed by my own thoughts. Especially about writing, which tend toward neuroses. I found the occasional laughter and social banter were helpful to my process. But only because I knew I could return to my own quietude and productivity at any time. Christina’s laser focus dovetailed my own. We worked in her warm cottage before lunch; my cabin had no electricity or running water. In the shared liminal space of our first morning, I reread Joan Didion’s essay Why I Write, one of the first works that made me want to pursue creative writing. As the heater whirred and ticked, I emailed it to Christina. Thirty minutes later we were knee deep discussing how Joan Didion’s reference to literary “shimmers” was like Pam Houston’s teaching on “glimmers.” And then we resumed our silence to write some of our own. The rest of the week continued to unfold in an easy and attentive way. I woke up before dawn, practiced yoga and meditation, made breakfast, and started writing with Christina by 8 a.m. I wrote synopses of every section of my memoir, which I had wanted to do for months. I revised a pesky chapter of my manuscript. I found an exciting hybrid structure for an essay I’d started over the summer. I felt grounded in my work, something I’d craved since my son’s birth two years ago. And the quiet was delicious. At one point we sat at a sunny table for lunch, looking across a vista of redwoods and low clouds toward Monterey Bay. The place was so peaceful, even a hummingbird had the sense to stop on a branch to rest a while. And I had the sense to watch it. On our final day together, we hiked in the forest with our new friend, visiting author Maxim Luskutoff. As we walked the trail, bouncy with a dense layer of pine needles, we asked him endless questions. About his first published book, his recent essay in the New York Times, how he gained traction as a writer. We all stopped in the center of a grove of redwoods and looked up toward the cathedral sky. I felt I was with my tribe. Some of these morning briefings were marked by tears from the rawness of the nonfiction content we'd excavated. I’d be reading or listening, and then wipe my cheek, and look up and see her wiping hers. It was after one of these morning shares that Courtney said, “You should read that at open mic.” I was hesitant. It was a first draft. We were explicitly told to read something polished. But with her encouragement, I did read that essay at the open mic that night. And the editor of an anthology asked if he could publish my essay in his book in 2019. Sometimes a friend can offer exactly the tap of the domino you need. Courtney: When I left Wellstone, my heart raced with the realization that I would need 52 more weeks of residency to actually finish my manuscript. How on earth would I manage to do so in busy daily life? For example, right now my email inbox is overflowing, I need to follow up on workshops I’m teaching, Legos clutter my living room floor, holiday decorations wait in boxes, and I haven’t done any Christmas shopping. But at 8:30 this morning, Christina and I had a quick text exchange that got me to my desk. Now I’m writing and I have been for hours. If I know that 150-some miles away, Christina is sitting down working on her manuscript, I want to be working on mine. Courtney Zenner is a nonfiction writer. She was a Writing Fellow at Barnard College and a Bowie Fellow at the Lighthouse from 2012-2013. Her work has appeared in The Sun and Sabal. She is currently writing a memoir about the legacy of mental illness in her family, a story set in the countryside of Vietnam, a Zen monastery in Southwestern France, the streets of New York City, and the suburbs of Denver. She facilitates monthly Mindful Writing workshops at Wolverine Farm Publick House and Letterpress in Fort Collins. Christina Rivera Cogswell’s first published personal essay appears in the 2018 issue of Bat City Review. Her personal blog, www.seekingsol.com, features travel journal notes spanning six continents, 45+ countries, and 15+ years. 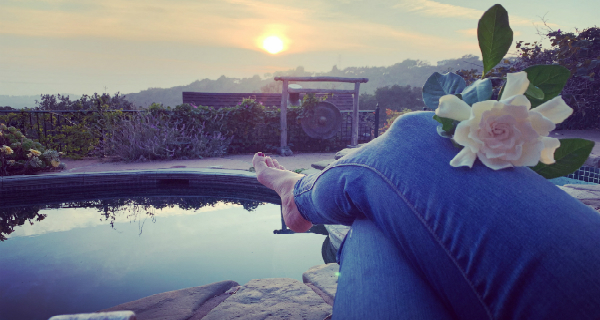 There you can also find her most recent post offering a few tips, from her experience at Wellstone, on balancing motherhood with writing residency.